It's still a circle skirt gathered with a casing and ribbon down one side to reveal a ruffled underskirt, but this time I'll give you a few links to some tutorials for similar skirts so you can make one of your own. 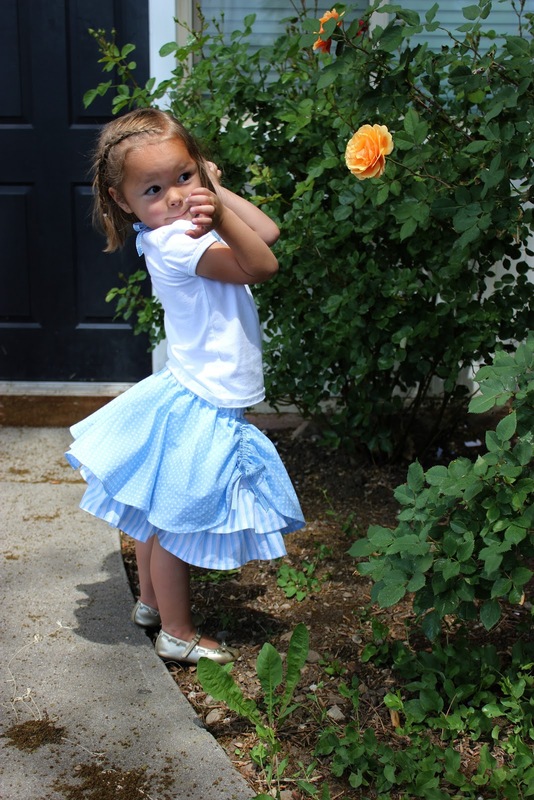 For the outer circle skirt, here is Dana's famous circle skirt tutorial. 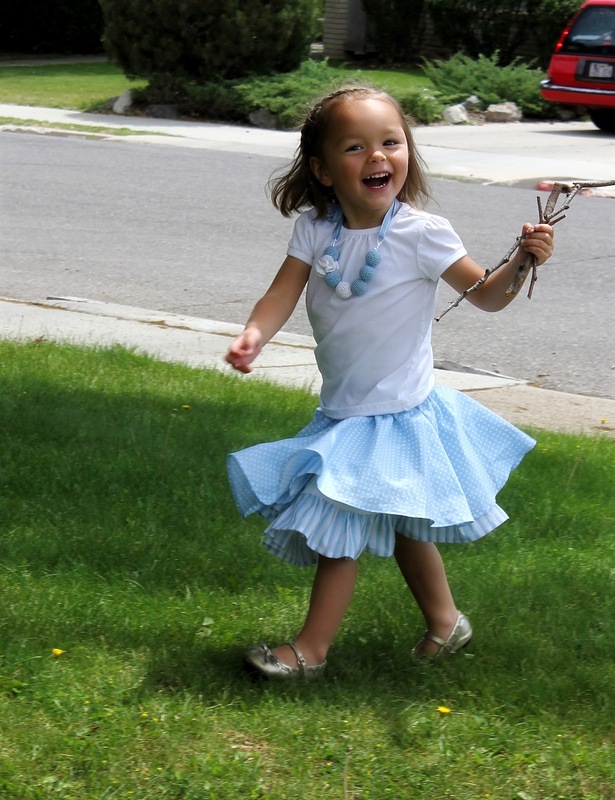 For the inner ruffled skirt, guess what, Dana's got one of those too! For the gathered casing, Jess is all over that one. 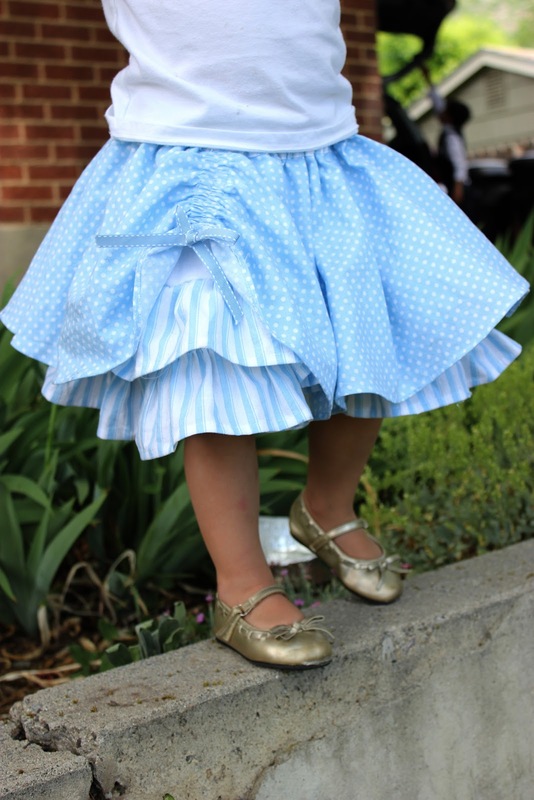 Or here's an idea: You could leave the skirts separate and just switch top or bottom layers with ones made in different colors or patterns to maximize your little one's wardrobe. So many different combos! Then you always have the option to wear them separately too. That's enough to put a smile on any girl's face. I LOVE this skirt! And how cute is Teagan?!?! PS love all the posts. I always get excited when your blog pops up in my reader. Yep, any girl including me! I think I'm too old to wear it myself though. This skirt is simply enchanting though. Gorgeous! 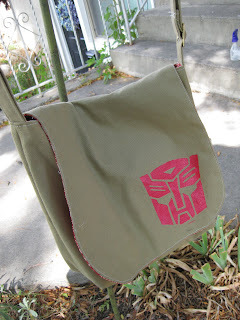 I'm going to have to find someone to make it for and now I'm going to subscribe to your creative blog! Are there directions for the necklace? Me encanta! Es preciosa Enhorabuena! / I love it! Congratulations It's beautiful! I've been wanting to make one of these for a while, but one of the things I can't quite figure out is do you need to adjust the shape of the circle to give it extra fabric for the gathering, or do you just make the circle skirt as normal?